This study of hands expressions is absolutely original inspired from the everyday life. I do want to thank, deeply from my heart, all of you who loved and support this project so much. When I begun to think the idea of this gallery, I really didn't expect so much response from people in and out of Pbase. I do appreciate it! Thank you! Straight to the heart and soul....through the hands. Inspired and inspiring. une galerie toute en charme, finesse et délicatesse.... c'est magnifique ! Yet another conceptual set of captures made in a very artistic way! Bravo, Chris! V.
The magic continues...gros Bravo ! Besides the excellent technique, interesting and original form to capture the exprssion transmited by hands. Além da excelente técnica, interessante e original forma de capturar a expressão tranmitida pelas mãos. unbelievable gallery. Best I've seen in ages. Great concept beautifully executed. Please keep them coming! Top gallery, but you already knew that! V.
Beautiful gallery. I love the lighting. What a subject and your create skill! This is great idea with your creativity atmosphere. great job! the accolades don't do justice to your unique vision. bravo! Creative and well executed gallery, Chris. Sensual, inspiring & artistic images very well presented! Hi, thank you for your incredible shoots!! I'was looking for hands to draw...and i have found your page...lucky man! Very nice gallery. Beautifully done. Very beautiful, this hands . . Through them I can imagine a lot . .
A very lovely subject and wel executed! Beautiful expression..... Many voted Bravo Chris. Beautiful. The images are so soft, peotic. Great idea an execution. V.
One of the best galleries of PBase. My vote! defies description. Great work my friend!! Very nice work, compliments! Ric. Mes meilleurs vux de Bonheur et de Paix pour cette année 2007 que nous espérons belle et prospère pour tout le Monde. My best wishes of Happiness and Peace for this year 2007 that we hope for beautiful and thrives for everyone. الحياة متل الكنزة، منخيّطها قطبة ورا قطبة. كلّ قطبة هيّ نهار. كلّ قطبة هيّ سنة. بتمنّالكن قطب كتيرة بي محلّها وإنّو ترجعو تاخدو القطب يللي عالأفا بكتير من الفرح. What a fantastic gallery. Congratulations! Thanks fot this amazing pictures! I love this gallery. You have my vote! I love these selection of images. A simple subject, yet which you have explored in so many different and imaginative ways. Inspiring! Merveilleuse gallerie. Very nice picture oh Hands. A Beautiful and Inspiring Gallery! Great gallery! you are really an artist!!! Great gallery! you're really an artist! Voted voted voted! This is a fantastic gallery! I love so many of them! Excellent work! What an inspiring and truely beautiful Gallery. Very expressive, touching gallery... literally. Another EXCELLENT gallery. Very inspiring....I've always been fascinated with hands, this is great! Have to come back again. Beautiful work of art, Chris. You are the best, Chris! BRAVO! So beautiful as an ensemble. wonderful gallery with a lot of FOTONES... and all them together makes of this gallery an exceptional one. Incredibly creative work! 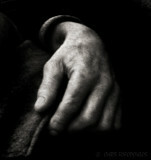 The tone, and 'portraiture' of the hands almost personify each photo. What a great gallery!!!! I love it! Congratulations! Inspiring work. A masterpiece gallery! Exquisite gallery: delicate sensuality, strong compositional line, great post-processing treat. Enjoyed every image. Voted. Very refined gallery of a clever work. Voted. good use of lights and shadow. great work, chris. Wonderful gallery. Great idea and woderfully executed. Beautiful tones. My immediate reaction: this is so real. Excellent work here. One if not the most expressive parts of the body only next to the face. This is a excellent collection. I am highly impressed. This is one of my favorites galleries! big vote! This expression of our daily poetic motions reminds me that our simple lives are beautiful. This is art. chris, this gallery keeps drawing me back to it. amazing work. voted. And here I am again. If I already haven't said it, your work is remarkable and inspiring. Unique, as Anna Pagnacco already said, inspiring, perfect. One of the best galleries in pbase. Wonderful light and posing, beautiful gallery! This is an awesome gallery. One of my favorites! Great job. Wonderful gallery. I like your idea. This is a fantastic gallery. Love the treatment! If I could vote multiple times over and over trust me I would.This gallery deserves to be popular at least!! !Living pictures that transmute unspeakable words..
Again and again and again. Here I am again at your hands_expressions gallery. Beautiful, strong images. Voted, of course. a beautiful gallery. all those images are splendids. Great idea, perfect execution and wonderful compositions, vote. I'm interested too in your technic, particularly how do you convert in b&w. Masterfully done! Did you use the B&W filters in the camera or convert in photoshop? A body of work of supreme creative and poetic genius! and we put our hands together for your hands. Great lighting,great idea. Always nice to see something different. They say some people speak with thier hands, here is the proof!. very nice studie, remebers me to another gallerie on pbase ! But Agnes did it in color ! I'm so happy I found these Chris! Excellent vision and execution. Big Vote! Thanks for visiting my galleries and nice words. Compliments from such high class photographer are very precious. I'm a big fan of yours. Especially this one. Best regards. Accuracy of the moment. Balance of light. Variety of emotions. Really fantastic shots, love the simplicity, you have my vote! I love the concept behind this gallery and the images support it nicely. Well done!!!! Expressive hands. Nice B&W and well lighting. The Last is my fav, but all are awesome. Extremely interesting adn smart idea to look at hands!! As if one hand is a nuclear family, or even one person! Voted!! absolutely outstanding gallerie ! Vote Vote Vote ! WHat a delight to keep revisiting this gallery as it grows... You've given a new definition to the words Creative and Artistic!! I saw all your pictures on the hand, beautiful all the way. And only woman hand, maybe the last one a man and his cigarette. And I want to thank you for your comment for "Gothic Moods", I really appreciate it. You are a very good photographer, and your pictures are very well done! I like it a lot. Very nice work! This gallery is continuously expressive and creative, there doesn't seem to be any limit. Guest below was me..now I can see that vote button..:)..
Oh this is an incredible gallery Chris..
excellent and a special work Chris,wonderful exposures with perfect lighting and nice idea , well executed,great collection. Extraordinary and original. Very well done. What an amazing gallery, I absolutely love it. So simple and yet so emotive and effective, a huge massive vote from me! simply perfect! I really like these. Add my vote! Great idea for a gallery and excellent shots! Superb gallery. Fantastic "hommage" to the hands. Voted. This gallery is a great example of creative use of light on "hands background"
Une galerie où tout est conjugué. Wow! A very interesting project and beautiful photos you have got! With your latest uploads and with the next that will come (definitely super like these), this gallery will remain an "All Time Classic" in pbase. Congrats for one more time. Very well done! I tried a similar project and understand the real difficulties. Thanks for sharing. V.
Wow, this gallery is amazing. The topic is very unique and original! Love every expression of each hand and each finger...interesting! It looks that you have a lot of work in front of you...so with you luck for the future! This gallery just gets better and better. This is a very interesting, expressive gallery. very smart gallery! hands do express emotions, and you caught it very well! great idea, great implementation! When we look we see that the tip of the universe finds expression in the human hand. How did I never see this votable gallery before? It's splendid! What an audience chris! I had to scroll a few minutes from top to down! And I`m only second! FANTASTIC GALLERY!!! wonderful gallery. It's amazing how much story you can tell by then hands with the camera in good hands. What a great gallery. If presented individually, I think each one is "good" but presented as a collection, it's GREAT. I could easily see this collection in a gallery. Well done. what a fantastic gallery or mood, expression and emotion all through the expose of hands and the B&W and composition is really high quality. well done. bravo and voted. I voted because every image in this gallery is splendid. I think all should view this. I hope they do. Very good project you did here, and well worth your effort. I am looking forward to seeing if you do a feet project one day. It could be very interesting to see. My hands are clapping and I am standing in ovation!!! Bravo!!! almost part of sculpture work!! Outstanding, Chirs.. this gallery is a wonderful study of the human body and how the light creates the mood. Congrats!! Great study and imagination. Well balanced lighting and composistion. Very artistic and sensitive. Love the black and white, and the nice soft lighting. Haven't been here for a while - still as fascinating, Chris. Nice hands you've got here! ...but you don't have enough hands to hold my admiration! This study, it really never ends! Keep on searcing hands! Very artistic gallery, Chris, get my vote! Very good galley! Excelent execution! An outstanding, creative work of art. Everyone already said everything about this amazing work. such wonderful creative personal touching images you have created here Chis!!! Wonderful gallery of images! Just wonderful! I love the tonality, the compositions - individually and collectively as a gallery! Wonderful! Good idea! Beautiful shots and nice lighting .... my compliments, this is excellent. I wich I can vote many times... "Yes, it is very good, but you have already voted for this gallery." Very nice gallery! I used to do sketch of hands before so I totally understand that hands talk. Really enjoyed these pictures and thanks for sharing! very interesing gallery,thanks for sharing. This gallery is amizing. My vote! Excellent work and idea Chris. Original and masterfully done. Excellent idea, and an amazing B & W! Count another vote Chris, so this gallery would be stayed as more as it can at the popular galleries. It worth it. interesting and creative photos . Unique, interesting and beautiful photos. Thank you for good picture. I keep on visiting this gallery! Fantastic work, it's a great pleasure to the eye! Beautiful gallery. Thanks for sharing. Very nice gallery , thanks ! Interesing and beautiful gallery. very pleasing compositions. Amazing! I know I've seen this before and couldn't find it again until it popped in the " random popular galleries" again. Glad to see it again and this time saved to my favorites. Great mood. Each hand a personality. the way of presentation was nice..good thinking..congrats to ur hardwork. Fabulous!! Great use of light!! Congrats! Absolutely stunning pictures. Nice work ! Really original and effective gallery. What a fantastic gallery,you have what it take to be a great artist,thanka for sharing this beautiful photographic pleasure ,look forward for more ,wonderfull! Beautifully expressive - magical images, Chris. Very, very inspiring - and definitely voted. Once again, this is a fantastic gallery Chris! Watching at your photos, I realized that the hands are the mirror of the soul, not the eyes. I love the lighting in this gallery.. It brings out a certain softness and elegance to the subject. Excellent gallery, Chris. This is art! Nicely done! Absolutely fabulous. You have an amazing gift of capturing the essence of your subject while still disguising it enough to intrigue the viewer. Amazing and very professional. Bravo. Nice and creative work, well done. What a unique, innovative, and remarkable gallery, Chris. Each photo is beautifully composed and executed. Bravo. Amazing idea, Chris! And very nicely put up.. Vote! Impressive concept. Great expressions. Lovely soft tones. Votes. Very good idea, this hands are expressive and tell the story or a "state of heart" . I vote . captured the emotion perfectly!! GMV! what a great idea, excellet gallerie, votet ! I love this idea. Hands are naturally interesting and captivating. 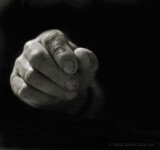 I've devoted an entire blog on the subject of human hands http://handlines.blogspot.com/), and I am constantly surprised to find that there is always something new to say about them. It is a subject of endless intrigue. I like your idea. Hands can cannotate and imply a lot, and carry a lot of meaning. I like to occasionally try and get pictures of people's hands doing the things they love to do, i.e. painting, playing music, cooking, etc. Very nice BW tones. My only criticism is that you might consider paring the gallery down to your ABSOLUTE favorite, most meaningful images. The images themselves are minimimalistic, so maybe the gallery might benefit from following suit. I haven't been around the galleries for quite a while now..... just stumbled upon this one. Well done Chris. Hands are like faces, so many expressions... Beautiful! So beautiful, Chris. Some lovely light, shade and tone in each and every one. i have an obsession with the beauty of humanity, and these hands are some of the most beautiful photos i have seen of people so far, thankyou. i like how the light touches, and the angles..
that is your hands that tells another story..
that is the hands that shows..
Beautiful work! The lighting and b&w treatment definitely work well to accentuate the various lines! GMV! What a sensitive work!! Congratsulations , thanks for sharing . Voted of course. Hello, my compliments for your nice work! Please come see my photos sometime? Best regards, Tom from The Netherlands. Fantastic! Simple but oh so effective. Great work! Great idea and very well executed gallery. Voted!! What an ingenuity! So simple and simultaneously sensual! Those tender tones teasing tremendously. Voted. Yes its interesting and flowing , very different ,like it . I can't believe I didn't see this gallery before. Excellent work. My well deserved vote! An excellent gasllery. Truly well done studies in light, contrast and human form. Sweet! ¡¡ Felicidades por la galería ! !, a parte de ser una gran idea, la has llevado a cabo a la perfección y con una gran maestría. Gracias por mostrarlas. Beautiful light on your shots, nice tone. Congratulations for being the first of the most popular on PBase. the most beautiful hand model with the sweetest manicure..
Beautiful gallery. Very expressive shots. GMV. A wondeful gallery, Chris. I love the lighting. Great gallery. It's like hands studies in renecentist's drawing studies! How do you make this wonderfull black & white? I see e little brown dominant. I have too a Canon 20D. Love this concept - love these images. I see new hands, a wonderfull gallery, I'll give you my vote!!! Amazing creativity Chris!!! You got my vote. Outstanding gallery, gets my vote too! Fantastic idea and pictures! this is a great gallery. you've proven how endlessly fascinating humans are, even just their hands. Chris, very sensational captures! You've really got the angle and light by your side, working perfectly together. ÁðëÜ ÕðÝñï÷åò !!! Very original. You got my vote! Fantastic gallery,looking foreward to see more. Whoa, Chris. This is fabulous! Congratulations on your first place accomplishment. If I'm not mistaken, you now owe us a bathtub shot... Can't wait! Beauty and elegance! Regards, Pascale. P.S. thanks so much for the visit and words in my gallery of Favorite Moments!!! Chris, the tones are gorgeous in this gallery. I was really taken in by the expressive poses of the hands. Great work!! What lens did you use for these? Congratulation ! you are on top of popular galleries. Les composition sont magnifique, pure. Un grand classicsme. Very original, Chris. I like each shot, voted! Fantastic Gallery,every shot a winner.Very well done.Vote! Could there be any doubt of the excellence here. Outstanding Chris. Simple and wonderful, each image. Needs to go to the top of the boards. Excellent idea for a gallery! The hands say so much! Voted. Great gallery... has my vote! Very expressive hands, Chris. Love that duotone effect. Yes, very expressive hands and the light is wonderful! A uniquely stunning gallery. Form is wonderful and I so enjoy your toning and light. Odd.Different. Like Free Jazz , is not easy. Like Modern Erudite Music, needs time to get into. But is worth the time, the try, the test. Because it´s odd, different. Like Free Jazz form Norway. Or Classic music from Hungary. This is a brilliant idea - and so well executed! Great idea, Chris, and great execution. Superb gallerie! Very creative and original work Chris!! superb collection of artistic hand forms! again, love the duo tone work. will continue to visit this wonderful gallery. Great gallery Chris, original! Vote.